Here is a security grille Alexandra Locksmiths recently fitted at a home in North London. This is a great example of how the lattice design grilles allow them to blend into a room. One obstacle that prevents many home owners from installing security grilles is that many fear the grille may stand out or blemish the appearance of a beautifully decorated room. 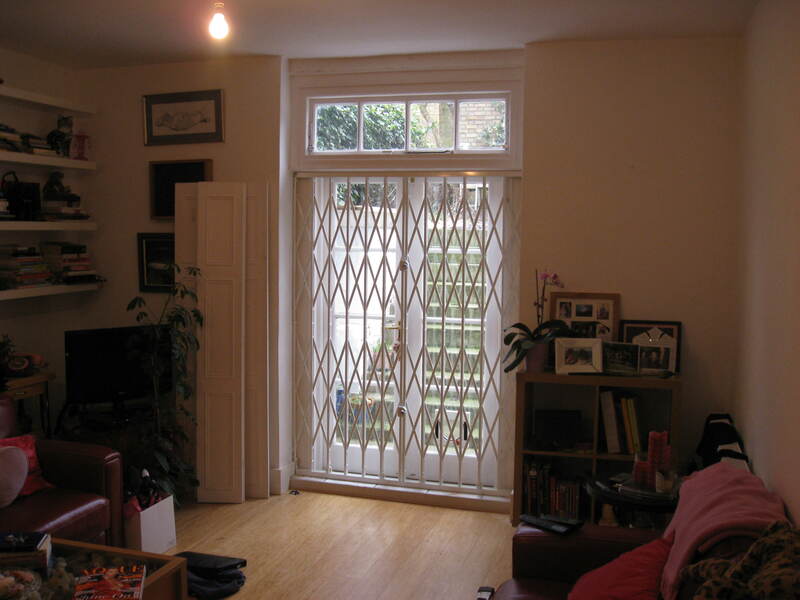 This picture expels those fears, showing that security grilles can provides protection whilst taking nothing away from an aesthetics of a living room, kitchen or dining room. The security grilles are also collapsible, providing security only when you need it and out of sight when not in use. If you are interested in installing security grilles, or would like any more information on the security measures to keep your home or business secure contact Alexandra Locksmiths.